Enjoy a Weekend of Achievement! 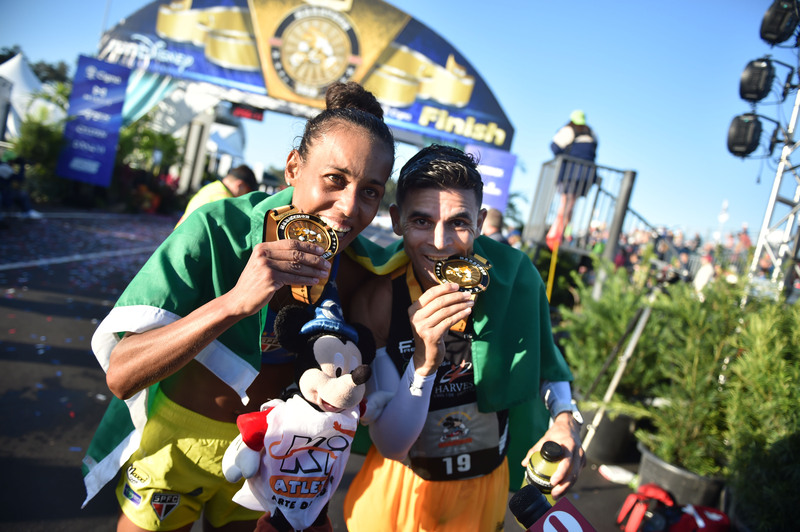 Come join Mickey and friends for an extraordinary race weekend—put your endurance through the paces, enjoy amazing entertainment and earn commemorative medals. Dare to test your limits? Try a multi-race challenge for the chance to earn even more medals. No matter your skill level, you'll be a part of a community of fun-spirited runners—uniquely Disney! I do the Goofy race. I run the Half Marathon on Saturday and the full marathon on Sunday. Nothing else like it. I ran the Goofy Challenge in 2009 and then the Inaugural Dopey Challenge in 2014. I wish I had the $$ to do this one every year, but Disney keeps hiking up the prices. Very well organized events, course support is awesome including aid stations and the cheering crowds. Yes, you have to get up super early to catch the bus from resorts to start line but it's worth it. Courses are flat, weave in & out of the parks, and always entertaining. Huge field of runners, utilizing the entire alphabet for wave starts at the beginning of nearly every race, but the waves help relieve the bottleneck effect. Only 4 star rating due to price. The most magical race on earth! You're a runner who loves adventure! Your priority in a race is the course. 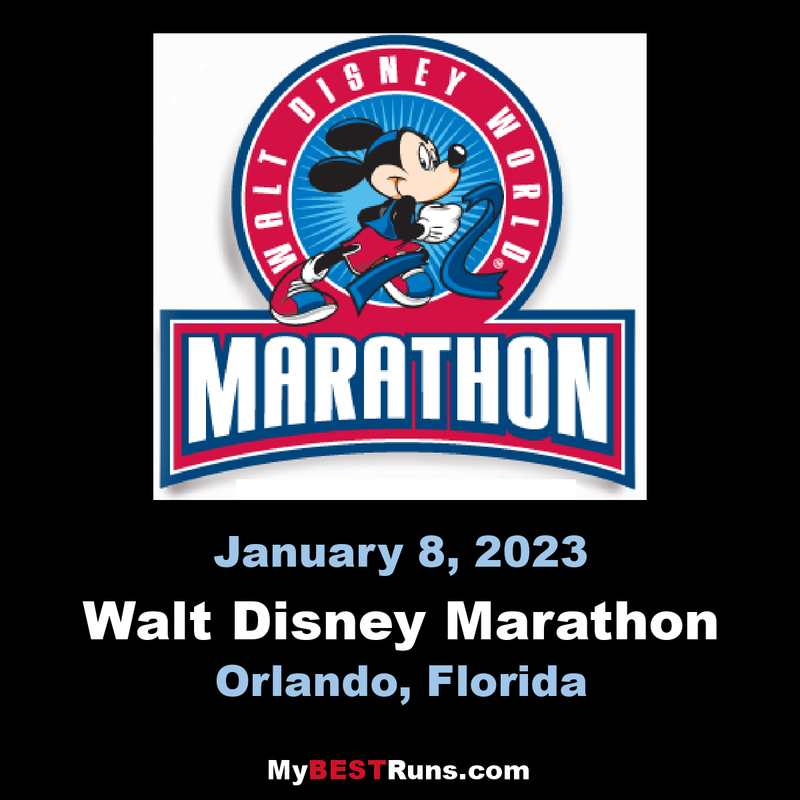 And now you're about to head out on the most magical course on earth during the final race of the weekend -- a 26.2 mile run that'll take you through four Walt Disney World® theme parks and the ESPN Wide World of Sports Complex. From the Magic Kingdom® Park, home of Mickey, Minnie and the whole Disney gang and the wild adventure of Disney's Animal Kingdom® Park, to the show biz excitement of Disney's Hollywood Studios, and incredible Epcot®, your Marathon adventure is unlike any other anywhere on earth. You must register for Goofy's Race and a Half Challenge or Dopey Challenge to receive the challenge medals upon completion of all races within the pacing requirements. 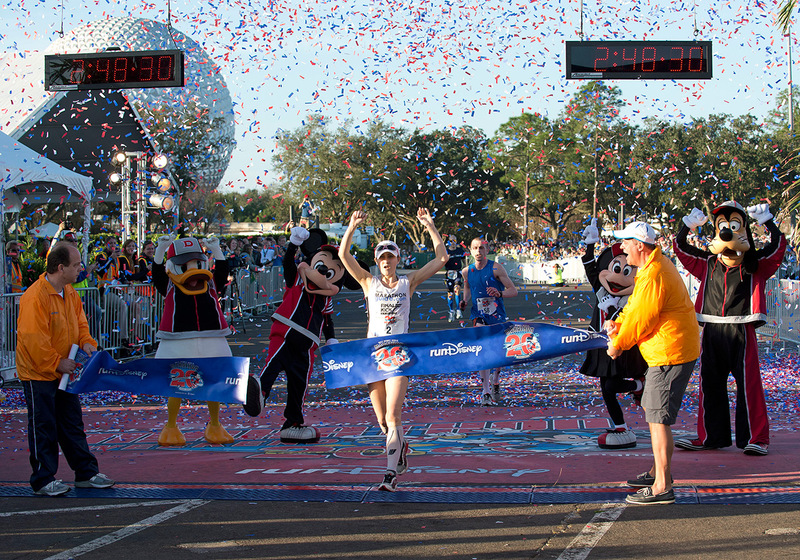 26.2-milecourse through all four Walt Disney World® Theme Parks, ESPN Wide World of Sports Complex and the Walt Disney World® SPEEDWAY.